When was the last time you performed a website redesign? If your website hasn’t been redesigned in a few years, the website may look out of date. Let us provide helpful advice on website redesign topics and how you can tell if your website is outdated. A website redesign is a topic lots of web designers have with customers. Not an easy topic, but one that must be discussed eventually. An outdated website can affect the bottom line. For example, an obsolete site can deter customers from performing a conversion. A conversion can consist of a phone call to the business or filling out a form for the business to collect leads. Outdated websites can be harmful to a business. For example, a customer will not do business with an outdated website period. Let’s discuss aspects about a website redesign and how you can benefit from a new fresh coat of paint. The first question we receive is how much does a web redesign cost? The answer is, it depends. For instance, a redesign cost will vary depending on the type of redesign you want. Will the website incorporate new features? Do you want the website to be responsive to mobile devices? Are we going to upgrade the website’s hosting? These are some of the questions to get the customer thinking about the new design. The first phase of the redesign is to evaluate the current site. For instance, go through the existing website and keep a list of features you like and don’t like. Determine what is presently working in terms of conversions. Eliminate the aspects of the website that aren’t working or you don’t like. If you have Google Analytics installed – the software will be a helpful tool to determine how your audience interacts with the website. In short, a redesign is a collaborative effort with the web designer and customer. Both participants will need to strategize on how to make the website’s redesign optimal for conversions and engaging for customers. An outdated website will hurt the bottom line. A study performed by Kissmetrics suggests a design improvement can help increase revenue. For example, if an existing website is poorly designed there’s a good chance customers are not able to find the content they’re looking for. If a customer cannot find the content she’s looking for, chances are the visitor will leave the website and head to a competitors website. A new design can assist with customer engagement. For instance, a website that is easy to use will help customers find the product or service she is looking for. Picture an outdated website. How do you feel when on a website that appears old? For example, would you feel comfortable performing a transaction on a website that looks outdated? Chances are a visitor will not purchase or perform any actions on an old site. A website who’s design appears outdated deters visitors from making a purchase or interacting with the site. Especially, if the website doesn’t provide some form of a secure check out process. As you can imagine, a website that looks and feels clunky cannot help but deter customers. An outdated website is likely to have a bad user experience, therefore, losing a visitor or worse, lose a customer who’s ready to purchase. Designing a website to look pretty and have cool features is a nice touch. The real focus of a redesign is to place the customer on a journey and have them perform a specific action. For instance, a customer journey will consist of guiding them to contact you on the phone, fill out a web form, or request a quote. The goal is to have the customer perform an action that helps a business generate money. Not an easy task, but certainly attainable. A conversion can consist of any specific action a customer performs. For example, a conversion can be a customer filling out a form, instructing the customer to call the business, or download a PDF for more information. All websites need to set goals of what the customer should perform. The web designer can assist coming up with creative ways on how to successfully convert the customer’s target audience. Managing a WordPress site is no small feat. Website owners have to stay up to date with the latest vulnerabilities that can attack a website. WordPress is a highly targeted system according to Sucuri, a well-respected website security firm. There are a lot of best practices for managing a WordPress site, that can help prevent individuals from accessing the website. What are these and how can a business implement these best practices? We will discuss three baseline best practices and what you need to do in order to keep your website safe and up to today’s security standards. The first golden rule is to keep all plugins up to date. An approach we take with customers is to have two separate websites, one will be the public facing website and the other will be the development website. Why do we incorporate two different websites? Simple, all change requests are made on the development server in order for the customer to view. We can test if a WordPress plugin breaks the site on an update or causes other components to dysfunction. Once the customer and developer have deemed all components on the site work as expected, we can move on to the quality assurance and review phase. From here, the customer will review the website, with all of the plugin updates, and verify all components are in perfect harmony. Performing the plugin updates on the beta website can be an excellent method to verify all content on the website is displayed correctly, forms are working accordingly, and no issues are occurring after the plugin update. Keeping the plugins up to date is a great WordPress management tip, which helps prevent possible attacks through an outdated plugin. There have been vulnerabilities found within plugins that have been reported throughout the WordPress community. As soon as a plugin update is available, make sure you do so. Maintain all plugins to ensure your website is secured the highest level.  Bonus Tip: Not only is keeping WordPress plugins updated necessary, the same goes for WordPress themes and the WordPress core system. Backups, backups, backups. How many times have you heard to backup your data? If you have been working with computers the one tip most professionals continuously communicate is back up your data. Same goes for a WordPress website. Backup is an essential component of a website and without a proper plan in place, the day a website crashes can cause a five alarm fire for all parties involved. With the proper tools and services implemented into the website, an effective backup solution will help alleviate any data lost on the website. A plugin we highly recommend for customers is VaultPress. Excellent plugin for backing up and restoring website data. Learn more about VaultPress in a previous blog post we discussed the plugin in more detail. To put it simply, VaultPress is a simple click of a button and the previous day’s site will be populate on the existing site. It really is that simple. Unfortunately, there are many different vulnerabilities found on a weekly, if not daily, basis that have yet to be discovered or announced to the public. The saying goes, better to be safe than sorry, and with backups this is absolutely true. If you are looking for a free alternative, UpdraftPlus Backup and Restoration is an efficient alternative for a free plugin.  Bonus Tip: A backup solution can help with making sure the site is backed up on scheduled basis and saved to services like Dropbox or Amazon Storage services. Malicious hackers look for are weak security logins and virtual back doors that remain open. A tip is have long passwords, more than 12 characters, mixed with numbers, letters, an special characters. This makes the hackers job more frustrating into attempting to gain access to your website. There are many ways of preventing hackers from gaining access to the WordPress back end, but we will discuss one of our favorite methods. Implementing two-step verification is a great way to deter hackers. The benefit of two-step verification comes from the name, there are two-steps required in order to log into the WordPress dashboard. The WordPress admins or users types in the password associated with the WordPress site, which is followed by a code that is texted to the mobile device attached to the user’s profile. Six Revisions has an in-depth explanation on how to setup two-step verification. The main purpose of two-step verification is to prevent anonymous individuals from successfully guessing the password to the WordPress site or using brute force to log in. Even though the process is an extra 20 seconds, having the piece of mind knowing there is an additional step that prevents access from strangers will help WordPress admins and website owners sleep well at night.  Bonus Tip: We touched on having a complex password. Be sure to incorporate a 12 characters or more password with a mix of capital and lowercase letters, numbers, and special characters. Keep all plugins updated and then test with the copy of the website known as a development or beta site. Implement a backup solution to protect website data. This will come in handy when the time comes, hopefully never though. Two-step login verification is another method to deter hackers from gaining access to the website. We’d love to hear what other WordPress individuals like to use when managing a WordPress site. Let’s have a discussion in the comments section below! Email marketing may seem archaic, but is one of the most effective inbound marketing channels and number one conversion avenue. Email marketing should be a top priority for any business. Over the years, we have noticed a lot of small businesses do not take advantage of email marketing. For instance, all website owners should have an email marketing strategy. Why you ask? Because having the ability to reach hundreds or thousands of potential customers with one click is great! We will provide helpful tips on assisting small businesses with an email marketing campaign and how to convert leads into customers. Now that you know email marketing is an effective marketing tool, let’s come up with a strategy. Depending on what type of website and business you have, your strategy will vary. For example, an eCommerce website will focus on selling products. Another example, a website that provides services can create an email marketing campaign focused on the services the company provides. Let’s focus on a company that provides a service, more specifically, a chiropractor. First things first, how can a chiropractor use email as a marketing tool? For starters, what does her patients desire when visiting her office? If her patients want more tips on less back pain, the doctor can write a blog post and provide tips on how to prevent back pain. The doctor can send out the blog post via an email campaign to all her patients. Here’s an example of the doctor coming up with continuous content to promote through an email campaign. The main purpose is to determine what type of strategy will help a business with generating leads. Next up is composing an email strategy for the business to collect emails. How do you plan on collecting emails? Businesses can implement numerous ways in collecting emails. For example, an email can be collected on a website, through a contest, or the good ole fashion way of putting out a sign up sheet. An incentive should be provided in exchange for an email. Let’s take a contest as an example. Run a contest on social media, say Facebook. A user provides an email in exchange for an opportunity to win an Amazon gift card. To collect email addresses from a website requires an exchange of some sorts. What can a business provide in exchange for an email address? For example, a business can provide free samples of the services. We don’t mean giving away the service for free, rather providing tidbits of helpful information the target audience can use. Kinda like this blog post! We’re providing helpful tips on how to implement an email marketing campaign, without giving away the secret sauce. Provide a sample of information in exchange for an email address; businesses want to learn how to be self-sufficient, while you collect email addresses for marketing purposes. Examples have been provided of how you can implement an email marketing campaign. The next step is to implement the strategy. A word to the wise. The beginning stages will be tough. Remember that collecting emails is a marathon, not a sprint. 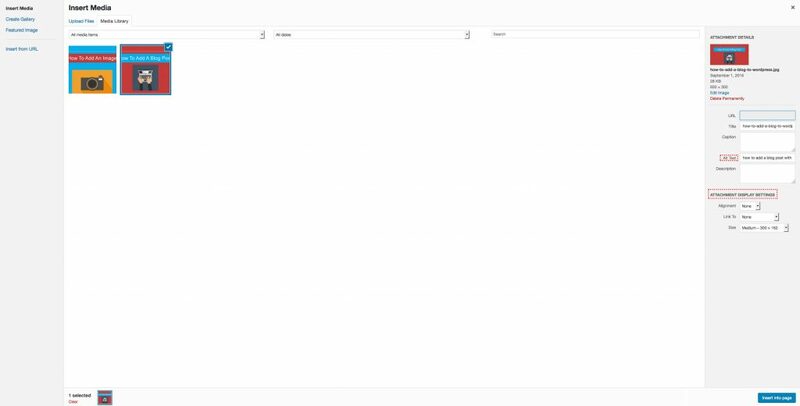 Experiment with different methods of collecting emails. First, try running a contest with a gift card for first place. Second, add an email signup field on the website, provide an exchange of sorts. If an individual signs up give them 10% off a service or product. Lastly, put out a sign up sheet for customers. Inform the customer the sign up sheet is for sending out occasional emails. We’ve provided a variety examples and helpful tips for you. Now is time for you as a business owner to implement these tips and start generating leads and turning them into customers. Let’s us know what you think about the blog post in the comments section. We love chatting with other like minded entrepreneurs! A Google Review is capable of amplifying a business’ search listing on Google Search & Google Maps. Let’s discuss the benefits of Google Reviews and how your business can benefit. Google Reviews, defined by Google, provide valuable information about your business to both you and your customers. 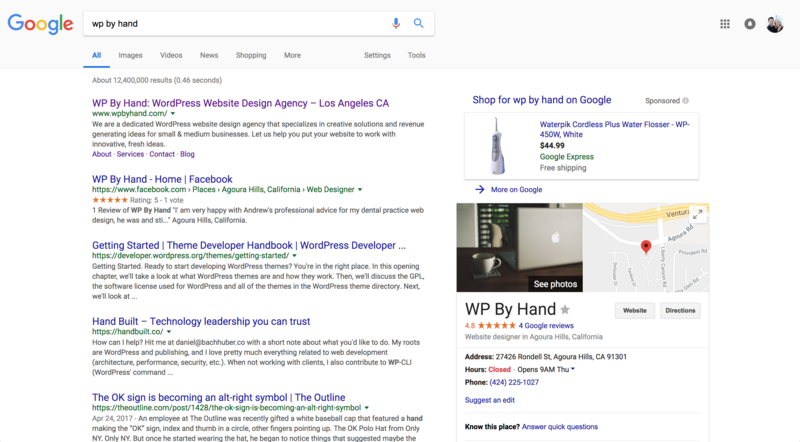 Business reviews appear next to your listing in Maps and Search, and can help your business stand out on Google. For example, a Google Review can help a business rank higher on Google Maps and Search. Google Reviews help a business with potential leads by real customers writing reviews. Since reviews help a business with ranking on Google Search & Maps, let’s discuss how to add a Google Review. For the purpose of this example, let’s say you worked with a graphic designer and wanted to leave her a review on Google. First, determine you have a Google account. Second, log into the Google account. Lastly, head to Google.com and search for the graphic designer’s business. That’s it! Let us show you how to add a review on Google with a tutorial. First head over to Google.com or the Google Maps app, if on mobile device, and search for the company. The best method is to write the review on a laptop or desktop. Second, click on the write a review button on the search results page. The Write a review button is located on the right hand side under the business’ information. Refer to the image at the beginning of the post. Third, determine how many stars the business deserves. For instance, if a business provided a superior end product, give them 5 stars. On the other hand, if a business performed sub par, give them the stars the business deserves and provide constructive feedback. Lastly, if you didn’t sign into Google, you will be prompted to do so. Fill in username and password. If you do not have a Google account, you’ll have an opportunity to create one. Follow the steps for creating a Google account and then you’ll be able to publish your review. A secure website has become mandatory for all websites. For example, Google announced back in September, starting January 2017, Google Chrome will inform visitors if a website is sporting an insecure connection. An example of providing a secure website is implementing a SSL certificate. A SSL certificate (secure socket layer) is a type of security technology used to establish an encrypted link between a server, browser and the end user. We will focus on why a SSL certificate, specifically for WordPress, is important. WordPress SSL – When Should You Use SSL? As mentioned above, Google announced websites that are insecure will inform website visitors of an insecure connection. We forgot to mention an insecure website will be ranked lower in the search results page. For instance, all secure websites are ranking higher than non-secure websites since the announcement. The real question is when do you implement a SSL certificate? The answer is always. For one, a secure website encrypts all user data. Meaning, no personal information is easily accessible. A visitor will fill in a form and the data will be encrypted. Second, if customers are entering credit card information, it is best to encrypt the credit card numbers. Encrypting the credit card details will make the numbers unreadable. Both for humans and computers. Lastly, a WordPress SSL website will help rank a website higher in the search results page. A small business needs every competitive edge. What Does a WordPress SSL Protected Site Look Like? For instance, when do you know you’re on a secure website? There are a couple of signals that can identity whether a website is secure or not. For example, when browsing a website on Google Chrome, there’s a green padlock with the text Secure. These two items are indicators of a secure website. When browsing a non-secure website, you can see there’s an i within a circle. For example, when you click on the i circle icon, you’ll be greeted with a pop up box. The box reads “Your connection to this site is not secure.” Knowing the difference will help you determine which site is secure vs. non-secure. Knowledge is power and we’ll help you install a SSL certificate onto your WordPress website. For this example, we’ll be using SiteGround as our web host. First, perform a backup of the website. Second, store the backup somewhere easily accessible in case of emergency. Third, we’ll be using the Let’s Encrypt certificate. Lastly, be sure you have all login credentials for WordPress and web host handy. Log into your cPanel account. Under the Security section, find the Let’s Encrypt icon. Click on the Let’s Encrypt logo. You will land on the Let’s Encrypt SSL overview. From here, you will toggle on HTTPS Enforce. Issuing the SSL certificate is the first step in making your website work properly over HTTPS. Once the HTTPS Enforce has been toggled on, head over to your .htaccess file and add the following code. This will force an HTTPS connection on your website. Replace https://yourdomain.com with your actual domain name. There may be additional steps required to perform, such as making all of the images secure, securing third party code snippets like Google Analytics or any other element of the website. A secure website is a must. For example, any type of website should have a SSL certificate. A secure website ensure numerous benefits. First of all, Google and other search engines are ranking secure websites higher in the search results page. Also, a secure website encrypts customer data. Lastly, we presented a tutorial on how to add a certificate. Good luck and let’s chat in the comments if you run into any issues! WordPress Websites Are Becoming the Norm For Small Businesses. What exactly is a WordPress website? Wikipedia defines WordPress as a free and open-source content management system based on PHP and MySQL. In non-geeky terms, WordPress is a website platform that comes equipped with a content management system (CMS). A CMS allows website owners to update content, publish blog posts, and control every aspect of the website. The platform provides non-savvy programmers the ability to add functionality to their website without knowing code. Why is a WordPress website becoming so popular? The simplicity of the platform is the main reason. We’ll explain why small business owners are running, not walking, to WordPress. WordPress is a growing behemoth in the web space. Venture Beat states 25% of all websites on the Internet are run by WordPress. Therefore, one out of four websites is running the WordPress software. Think about that for one second. One of out four websites are using WordPress for their website. Websites like eCommerce, brochure, insurance, and so forth are using WordPress to power their business’ website. Any size business, small, medium, or enterprise size, are using WordPress for their company needs. For example, the Rolling Stones are using WordPress for their website. WordPress websites are thriving because small businesses are adopting the platform at a rapid pace. For instance, when building a WordPress website, a CMS is provided with the software. A website owner can add photos to the home page. Update text on the about us page. Even add a contact form to the contact page. All in one click. The control a small business owner has over their website is limitless. The easy to use back end system provides website owners the tools needed to make edits themselves. As a result, small business owners can become their own webmasters. Ideally, a business owner can manage all of the content. However, we’d recommend having a professional handle the web tasks on your behalf. We explain in a blog post why its best to outsource WordPress support. WordPress websites are becoming popular among different types of websites. Everything, from websites that provide general information about their business to a full-fledged online store. Because WordPress has become so popular, many web designers have dedicated their skill set to WordPress exclusively. Hence, the WordPress platform is a popular choice among small business who can collaborate with small business web design firms. What truly separates the platform from others is the community. The WordPress community is a helpful bunch. For example, the WordPress.org website has a section dedicated to free support. Any member of the community can sign up to ask WordPress related questions. There’s a good chance a member of the forum will answer the question. Being helpful is a trait all WordPress advocates possess. As the adoption rate for WordPress grows, so will the cost-savings for small business. Let me explain. If the WordPress platform was inclusive and not used by many websites, the development rates sky rocket to $250 / hour. An expense that a small business may not be able to endure. However, since WordPress is so popular, a small business has more options to choose from. Small business websites can benefit from WordPress plugins. A WordPress plugin is a piece of software containing specific features that add to a WordPress website. Due to business owners not knowing how to code, plugins become helpful in this instance. Small business owners are looking for one click and efficient solutions. Plugins are just that. Small pieces of software that provide a function and no programming needed. WordPress Plugins are the foundation of the platform. 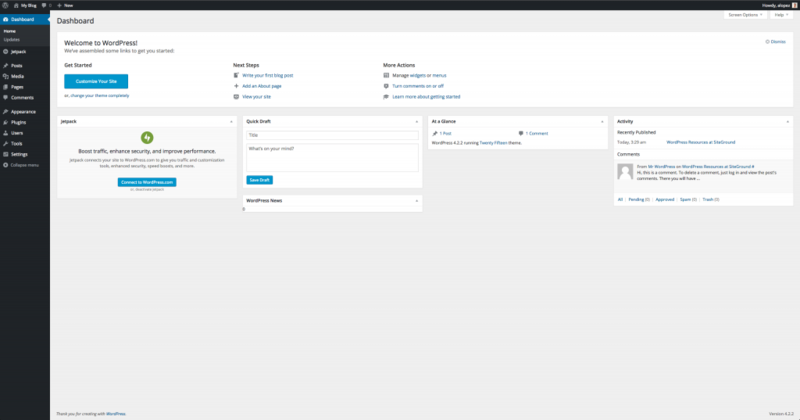 A WordPress plugin is installed within the dashboard. Most all WordPress websites have some sort of plugin installed. For example, a popular contact form plugin Contact Form 7 is a free contact form that website owners can use. The plugin provides the ability for website owners to capture leads or answer any questions a customer has. Plugins are a helpful way of adding functionality to a WordPress website. Unfortunately, some plugins are abandoned by WordPress developers. Here’s a helpful tip, avoid unsupported plugins. Ensure a plugin is updated on a consistent basis. As a result, a plugin will need to be assessed prior to installing into your WordPress website. Small business owners may not have the funds to pay for a custom website. For example, custom websites can cost anywhere from $10,000 – $50,000. Not an ideal expense for a small business. WordPress and other 3rd party designers have built pre-made themes designed specifically for the platform. Pre-made themes can help prevent the cost of hiring a graphic designer to create a website. When purchasing pre-made themes, make sure the developer provides support. A lot of pre-made themes on the market sell to customers without support provided. 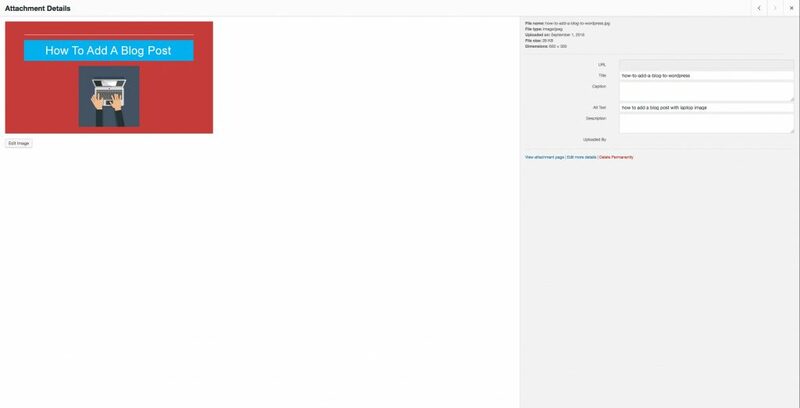 A WordPress theme without support is not ideal. Because if a WordPress theme is not updated consistently, there is a good chance the website can be hacked. In short, it is extremely important to keep a theme updated. A non-updated theme could cause trouble down the road. Most of all, consumers are unaware of unnecessary features that are provided when purchasing a pre-made theme. For example, lots of pre-made themes come equipped with bloated plugins. Unnecessary, plugins that drag the website down. Therefore, it is best practice to perform due diligence prior to purchasing a pre-made theme. We hope we provided ample information to help business owners make an informed decision when developing a website. There is no such thing as the perfect platform, but we think a WordPress website can help a small business bottom line. Adding an image to WordPress is easy peasy lemon squeezy. We’ll walk you through every step of adding an image through the WordPress admin. In addition, we’ll provide step by step instructions uploading an image to your WordPress website. Adding an image to a WordPress page or post can augment the page’s appearance. The content is broken up into sections on the page rather than one long section of text. Images compliment the page’s message for the reader, which allow the user to scan the web page more quickly. In this tutorial, how to add an image to WordPress, we’ll provide steps with screenshots you can perform in order to add an image. The first step is to log into the WordPress admin. The WordPress admin area is accessed by typing in the website’s domain name followed by /wp-admin or wp-login.php. If the domain name followed by either one of the directories provided does not display the login page please contact your web developer. Once you log in, you’ll be on the WordPress Admin area. Let’s head to the Media menu item on the left hand side. Click on Add New. Here you’ll be on the Upload New Media page. You will have two options when adding an image. The first option is to drag the image from your desktop and onto the dotted square area. The other option is to click on the Select Files button within the dotted square area. A window will pop up asking you to pick an image from the desktop. Below is a screenshot of what the page looks like when you click on Add New. As a WordPress admin you have the option of controlling what images to add to the website. You will have the ability to add large, medium, or small images. Before you add an image, you’ll want to make sure the image is compressed to the smallest size possible. An image that is compressed and optimized for a website will load faster. Search engines will thank you when images are optimized for websites by helping you rank better in the search results page. Don’t forget about mobile websites. An optimized image for desktop and mobile is a win win for the website owner. The WordPress Media library consists of images, videos, audio, and files that you can use in your page or blog post. 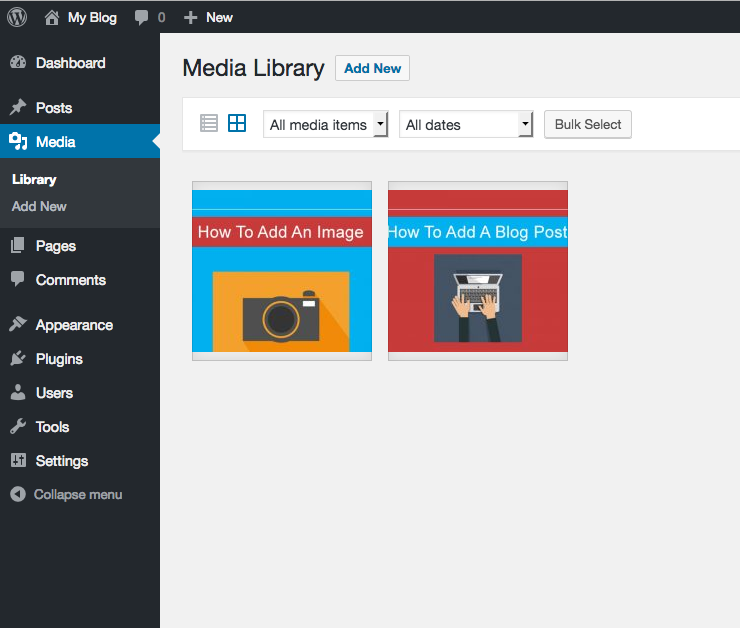 The WordPress admin can access the Media Library by clicking on the Library menu item. In the Media Library page you will have the ability to edit the image. Simply click on the image and an Attachment Details module will pop up. We highly recommend including a title and alt text for the image. Including an alt text description specifies an alternate text for an image, in case the image cannot be displayed. Search engines recommend websites to include alt text for every image on the website. This next step will show you how to add an image to a Page or Blog Post. For this example, we’ll demonstrate how to add an image to a Page on your WordPress website. You’ve already uploaded the image to the Media Library. From here will insert the image into the page. Within any page click on the Add Media button located in the top portion of the website editor. Once you click on the Add Media button, you’ll find yourself in a recognizable place. An insert media module will display on top of the existing page. From here, you will notice all of the images you have uploaded are in one location. Pretty neat huh! Select an image to add to the page. Include the alt text in the Attachment Display Settings for search engine optimization purposes. Voila! Image has been added. Now that you have mastered adding an image to WordPress you are ready for prime time. Head over to your WordPress website and give this tutorial a try! Start by drafting a blog post for your business and add images to each section of the post. Separate the content out by adding images to each section. By adding images to the blog post, you are breaking up the content into sections. Therefore, helping readers scan the post quickly for their desired content. If you have any questions, let’s chat in the comments section below! Let’s Discuss How To Add A Blog Post To A WordPress Website. We’re starting a new series of blog posts helping WordPress users by providing detailed tutorials with screenshots. These tutorials will be guides into performing everyday WordPress tasks that website admins perform on a regular basis. In this first tutorial, we’ll focus on adding a blog post to a WordPress website. The tutorial is specific to self-hosted WordPress websites. You may be able to use the advice we presented for WordPress.com. Let’s begin on how to add a blog post onto the back end of the website. 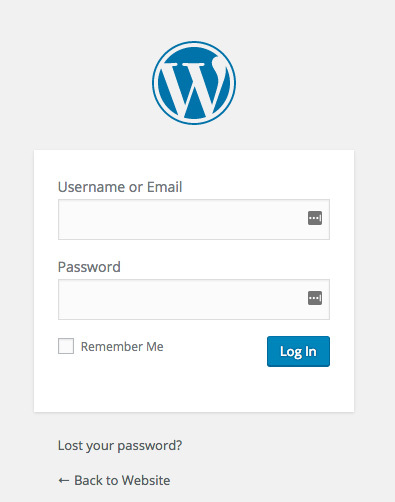 Before you publish any content, you’ll need to log into the back end of the WordPress website. To do so, simply type in the website’s domain name, followed by /wp-admin/. The /wp-admin/ will work for most WordPress websites. If the website does not redirect you’ll have to contact your web developer for the login page. The web browser will work its magic and place you on the WordPress login page. Once you have successfully logged in, you’ll be in the WordPress Dashboard. From here click on the Posts link located in the left hand side menu. We highlighted the area in a blue box for visual reference. Here’s where you click on Add New button. Located in the top area of the web page next to the title Posts. Tada! You have landed on the WordPress Post editor. From here you’ll need to add a title, a custom permalink, the text content for the blog, and many other aspects to complete a blog post. We’ll provide details about each number on the screenshot to better equip you for a blog post. Each number correlates with a field in the screenshot above. See below explanation for each number in the screenshot. Post Title is the headline the user will see on search engines and the website. Make sure to add a relevant title that represents the blog’s post. 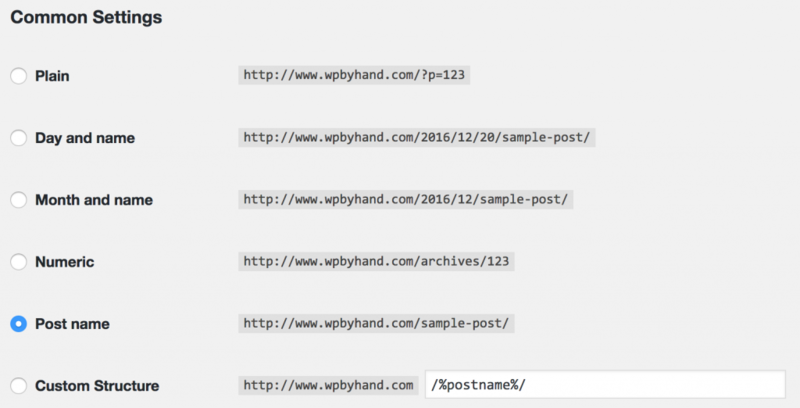 When editing a WordPress post permalink, keep the URL concise with the title for the blog post. Good for search engine optimization purposes. When creating or editing a WordPress blog post, you can easily add images at any time using the WordPress Media Uploader tool. Simply upload the image by clicking on the Add Media button. The large white space area is for the blog post. As a publisher, you will need to add images, text, and incorporate headers to break up the post. A Microsoft Word document has the same tools as the WordPress editor. Posts are entries that display the content written by the author. The author can save a draft as the blog post is being written or publish a blog post when the blog is completed. A Post Format is used by a WordPress theme to customize the presentation of a blog post. Each theme will have it’s own interpretation of a Post Format. Categories provide a helpful way to group related posts together, and to quickly tell readers what a post is about. Tags are similar to categories, but are generally used to describe your post in more detail. The Featured Image is up to the theme’s discretion. However, most themes add the image to the header of the blog post. The first thing to do when a website goes down is not panic! All website owners have experienced this one way or another. The website will be working fine one minute. The next minute, the website is down. Not an ideal scenario. What is a website owner to do? We put together a list of troubleshooting steps you can perform. These steps will help you find the actual problem and resolve the issue. No one likes when a website goes down, especially during peak browsing times. Note these steps are for a WordPress based website. #1 Is Your Web Host Experiencing Issues? When a website goes down, there are numerous factors that could’ve happen. One of the main culprits is to check with your web hosting provider. Most of the time, the web host is experiencing technical issues. These can range from data centers experiencing power issues to a natural disaster hitting the data center. These are a bit on the extreme side, but we have experienced these issues in the past. What is a website owner to do in this situation? One solution is to have a backup host ready in the wings. We’ll use a basketball analogy for the backup server. The backup web host can act as a sixth man on a basketball team. The sixth man is typically a player who can be a starter in the lineup. However, he’s more valuable coming off the bench providing his much needed skill set. In this instance, the backup host is waiting on the bench ready to play. You simply switch web host and point the website to the cloned website. Instead of waiting and wondering when the web host will be back up and functioning, you have another web host waiting on the bench.  Pro Tip: Make sure when you pick a backup web host you pick a different provider. For example, you can use SiteGround as your main host and BlueHost as a backup. Having the website on different web hosts helps prevent using the same host should issues arise. #2 Did You Update A Plugin Recently? Plugins are what make the WordPress platform unique to its competitors. Plugins are components that add custom functionality to a WordPress website. Once installed the administrator activates the plugin to begin using it on the website. The idea of WordPress plugins are to add components that a non-developer would not know how to program. In certain instances plugins can be extremely useful. For example, adding a contact form to a contact page. Sometimes plugins are not programmed properly, don’t play nice with a newer version of WordPress, or the source code in the plugin conflicts with other plugins. If a WordPress admin were to update or add a plugin. There may be a chance you receive the white screen of death (WSOD). In this case you’re pretty much on an island. Not too worry! There are a couple of troubleshooting steps you can take in order to resolve the issue. First, determine if an update caused the crash. Did you update or install a plugin and all of a sudden the WSOD appeared? Below are some basic troubleshooting steps you can take. Determine which plugin you updated (or installed) and find the version before hand. Depending on where the plugin was downloaded, you may be able to revert back to the previous version. Once you have the old plugin, head to Cpanel or FTP into the website. This is an extremely simplified version of troubleshooting with basic steps. We want you as the administrator of the website to understand that not all plugins are programmed equally. Always perform your due diligence when deciding to install a plugin on the website. Be sure to put emotion aside when troubleshooting. Keep your poise throughout the entire process.  Pro Tip: Choosing plugins should be a smart decision. Research each plugin before installing the component on the website. Making sure the developer is consistently updating the plugin is a good sign. Plugins that have not been updated in years should be ignored. #3 Did A WordPress Update Kill My Website? Updating WordPress core files is a must when maintaining a WordPress based website. There are some instances when a WordPress update made the website goes down. In these situations there are a couple of options you have to remedy the situation. Before we provide the solution, be sure to take a backup of the existing website. First, if you haven’t updated your WordPress website in quite some time, chances the update may break the website increase. Let’s take this scenario and run with it. Let’s say you run a WordPress core update and notice the site becomes inaccessible. Rule number one is to not panic. We determine the core update broke the website. What do we do in this situation? If you are familiar with the version of WordPress you had previously. Head to the WordPress.org core files release archive and download the version your website was previously on. From here you have two options. One is to upload the old WordPress core files through an FTP client. The only folder you do not replace is the wp-content folder. If you are unfamiliar with FTP, then the second option is to upload all the files, minus wp-content, through cPanel. The cPanel has a specific area called File Management where an admin can upload, edit, and erase files and folders. Once you upload the WordPress core files, head back to the website and refresh. If all is working, success! If not, you’ll need to head to the WordPress release archive to download the version your WordPress website was previously on. We provided a list of basic troubleshooting steps for the average user to perform when a WordPress website goes down. Web hosts can be the main culprit at times. Having a backup server in the wings can be the star bench player you need during crunch time. Keeping a website updated means having plugins, themes, and WordPress core files updated to the latest version. Even though some updates may implode a website. We provided a list of steps you can take in order to resolve any of the issues mentioned above. For all the DiYers give these steps a shot. If you run into any issues, holler at us in the comments section to collaborate. If you’re afraid of breaking more of the website we can chat in the comments as well. Good luck and may the WordPress force be with you! Get the latest WordPress News, Tips, and so much more free goodies! Hundreds of businesses can't be wrong.